The new tour of Spamalot the musical starring Joe Pasquale, Sarah Earnshaw and Todd Carty has just kicked off at Manchester. 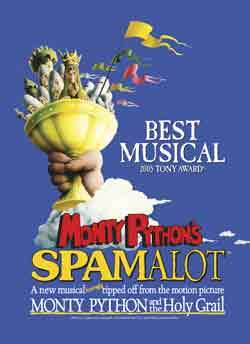 Steven Pacey is taking over from Marcus Brigstocke as King Arthur on the new tour of Monty Python's Spamalot. Brigstocke leaves the show at the end of its Oxford run on 21st January and Pacey takes over on 23rd January when the show opens at Oxford. 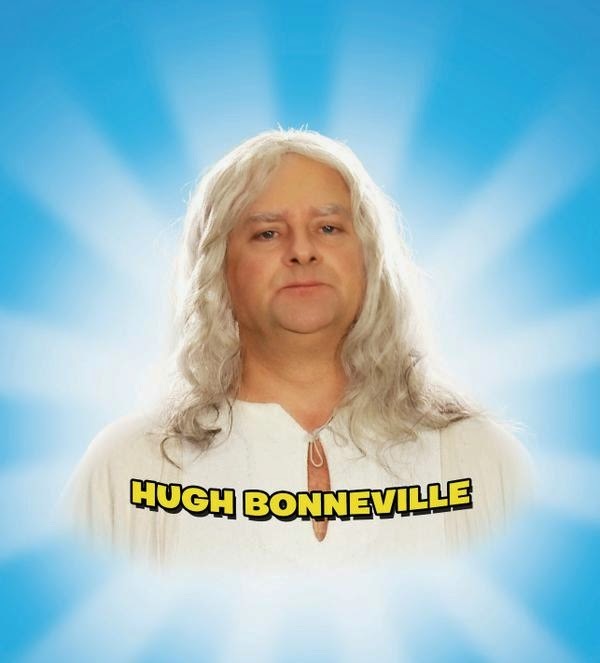 He remains with the show until 21st April at Sunderland Empire. When he opens at Oxford he will be joined by Bonnie Langford who takes over from Jodie Prenger as the Lady of the Lake. Stephen Pacey is an impressive performer with recent West End theatre credits including George in La Cage Aux Folles, he was an original Tony in West Side Story and an original Jesus in Godspell. 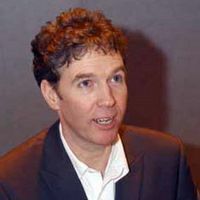 His comedy work includes creating the role of Bertie Wooster in By Jeeves for which he was nominated for an Olivier Award for Best Actor in A Musical. The tour of Monty Python's Spamalot starts again at the end of this year kicking off at the Theatre Royal Brighton from 5th December-14th January 2012. When it opens here Marcus Brigstocke, Jodie Prenger and Todd Carty will all reprise their roles of King Arthur, Lady of the Lake and Patsy. The tour then goes on to Liverpool, Oxford, Grimsby, Woking, Torquay, York, Stoke, Glasgow, Edinburgh, Birmingham, Richmond, Aylesbury, Sunderland, Bristol, Bromley, Manchester and Cornwall where it currently is due to end on 19th May. Casting for the remainder of the tour is still to be confirmed. Ticketmaster are offering special deals on tickets for the tours of Brother Love's Travelling Salvation Show, Elaine Paige in Concert and Spamalot which are bookable for 72 hours from noon today until noon on Monday 14 February 2011. Just click on the links below to take you through to the booking page. Brother Love’s Travelling Salvation Show - Buy one get one free - normally up to £35 each. Elaine Paige Concert Tour – Buy a pair of tickets at Blackpool Opera House and save up to £15 - normally up to £38.50 each. 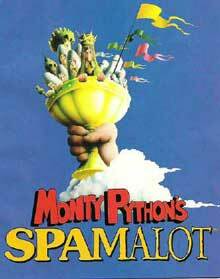 Spamalot – Sunderland Empire top tickets for £22.50 - normally up to £32.50. 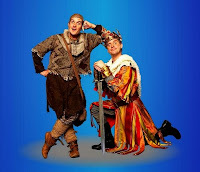 The touring version of Monty Python’s Spamalot goes from strength to strength continuing well into 2011. As already mentioned, comedian Phill Jupitus will be taking on King Arthur’s crown from Matthew Kelly when it reaches Plymouth on 31st January. Jodie Prenger who is playing the Lady of the Lake will be sharing the role with Jessica Martin from 24th January when the show is at Southend. Martin has a wealth of experience in West End musicals including Me And My Girl, Mack and Mabel, South Pacific, The Wizard of Oz, Babes in Arms, the Card, Sweeney Todd, Marguerite and Sunset Boulevard. She will be alternating with Jodie playing the Lady of the Lake when Spamalot visits Southend, Swansea, Sunderland, Ipswich, Eastbourne, Dartford, Leicester, Wolverhampton and Hull ending on 7th May. The UK Tour of Spamalot has announced more dates which now take it up until June 2011 when it is playing at the Mayflower Theatre in Southampton. Jodie Prenger has added a few more dates, and is now also playing the Lady of the Lake in Llandudno, Plymouth, Manchester, Cambridge, Bradford, Aylesbury, Blackpool, Dublin and Belfast. Comedian, TV and Radio presenter Phill Jupitus takes on the role of King Arthur when it arrives in Plymouth on 31st January. Matthew Kelly is playing the role at Milton Keynes, the Alexandra Theatre, Birmingham over Christmas, Llandudno and Southend until Jupitus joins. Todd Carty is staying for the duration of tour playing Patsy. 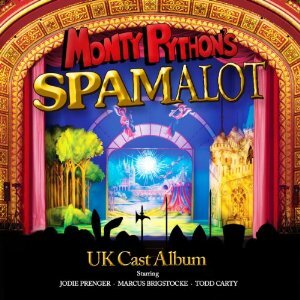 The UK Cast recording of Spamalot is available via Amazon UK on November 30th 2010. A cast recording of the UK tour of the Tony-winning musical Monty Python's Spamalot will now be released on 13th December and not November 29th as previously announced. The delay is due to manufacturing problems.. The tour contuinues into 2011 with Matthew Kelly playing King Arthur at the Alexandra Theartre in Birmingham over the Christmas Period. Phill Jupitus will take over the role of King Arthur on 17th January when it opens in Llandudno. The album was recorded live at the Churchill Theatre Bromley in July of this year with the cast including Jodie Prenger, Todd Carty and Marcus Brigstocke. The tour of Monty Python’s Spamalot is now booking well into 2011. It spends Christmas at the Alexandra Theatre in Birmingham with Matthew Kelly playing King Arthur, Jodie Prenger as the Lady of the Lake and Todd Carty as Patsy, before moving on to Llandudno, Southend, Plymouth, Manchester, Sunderland, Aylesbury. Blackpool and Wolverhampton – currently ending there on 30th April 2011. After Xmas the only bit of casting that has been announced is that Jodie Prenger will be appearing at the Llandudno venue. Details of who will be playing the role of King Arthur and Patsy are not yet available. The tour of Monty Python’s Spamalot has been receiving rave reviews all over the UK, and up until now two ladies have been sharing the role of Lady of the Lake – Jodie Prenger and Hayley Tamaddon. This week is the last for Hayley when she will be appearing at the Royal & Derngate Theatre in Northampton. From 18th October ex-Emmerdale actress Amy Nuttall will be playing the role at the Edinburgh Playhouse, Oxford New Theatre, Princes Theatre Torquay, Swan Theatre High Wycombe, Bath Theatre Royal, York Grand Opera House and Milton Keynes up until 4th December. Spamalot then moves into the Alexandra Theatre in Birmingham over Christmas where Jodie Prenger will be back playing the role along with Matthew Kelly as King Arthur and Todd Carty as Patsy. 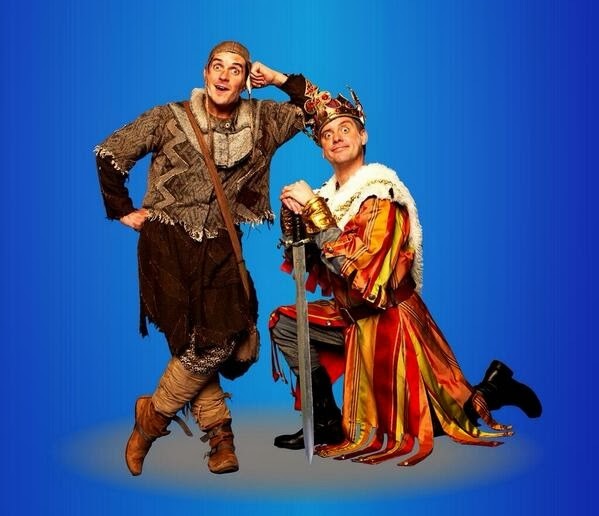 Comedian Marcus Brigstocke is currently playing King Arthur in the tour of Spamalot, but due to prior commitments he will not be appearing in the show when it visits Aberdeen, Cardiff, Sheffield and Torquay when James Gaddas (pictured) takes over the role. Marcus returns when it plays at the Wycombe Swan on 8th November and is currently staying with it until it leaves York Grand Opera House on 27th November. 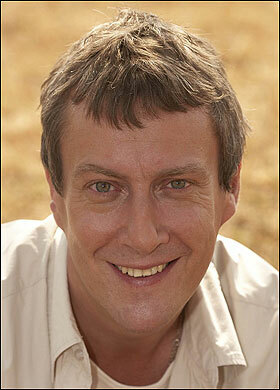 James Gaddas is probably best known for playing Governor Neil Grayling in ITV's Bad Girls between 2002 and 2006. 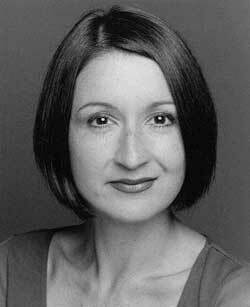 He has been appearing in Billy Elliot the Musical at the Victoria Palace Theatre playing the role of Jackie Elliot. Presenter and comedian Matthew Kelly is taking over the crown to join the show for a limited season when it visits Milton Keynes Theatre from November 29th - December 4th 2010 and the Alexandra Theatre in Birmingham from 7th December 1st January 2011. Marcus Brigstocke is playing King Arthur in the UK tour of Spamalot until it finishes at York Grand Opera House 27th November. 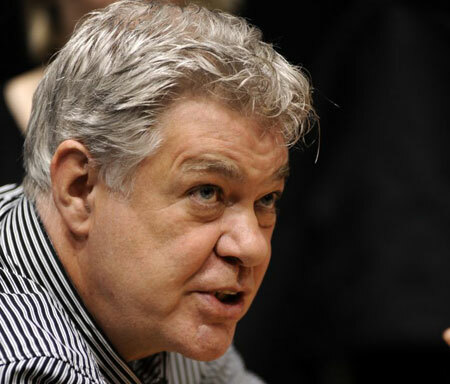 He will be handing over his crown to actor, presenter and comedian Matthew Kelly who is joining the show for a limited season when it visits Milton Keynes theatre from November 29th - December 4th 2010 and the Alexandra Theatre in Birmingham from 7th December 1st January 2011. Matthew’s Ladies of the Lake will be Amy Nuttall at Milton Keynes and Jodie Prenger at Birmingham. Todd Carty will play Patsy at both venues. Comedian Marcus Brigstocke is extending his run as King Arthur in the tour of Spamalot. He was originally leaving the show on 14th August when it finished at the Liverpool Empire as he had other commitments. He is now staying on but will not be appearing in the production at Aberdeen, Cardiff, Sheffield and Torquay. 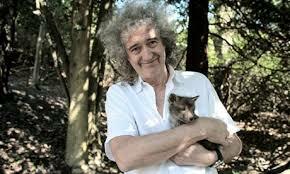 You can find out more details of his dates at Musical Theatre News. He rejoins the show at the Wycombe Swan on 8th November and is currently staying with it until it leaves York Grand Opera House on 27th November. As previously mentioned Amy Nuttall is joining the Spamalot tour as the third Lady of the Lake sharing the role with Jodie Prenger and Hayley Tamaddon when it arrives at Edinburgh Playhouse on 18th October. As already mentioned, Amy Nuttall is to become the third lady of the Lake on the tour of Spamalot sharing the role with Jodie Prenger and Hayley Tamaddon. She joins the tour in Edinburgh on 18th October. Todd Carty has confirmed that he is now staying for the entire tour playing Patsy. Marcus Brigstocke is still leaving on 14th August as he is appearing at the Edinburgh Festival.